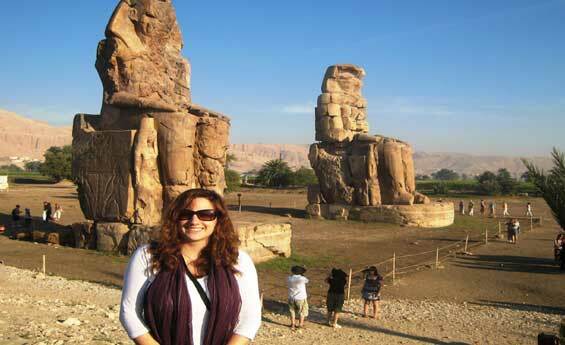 Happy Cairo and Nile Cruise Holidays worth the visit to Cairo sites and Luxor by flight, where you will enjoy amazing Nile Cruise from Luxor, to watch the ancient astonishing Temples Karnak & Luxor, and more. Breakfast at hotel, enjoy an excursion to visit Giza Great Pyramids of Cheops, Chephren, and Mykerinus, then transfer to the panorama area, take memorable Photos for the Three Pyramids Together, proceed to visit the Sphinx, Next tour to The Egyptian Museum including the treasures of King Tut AnkhAmun, Lunch at local restaurant, at the end of your tour, transfer back to your hotel, overnight in Cairo. Breakfast at your hotel, transfer to Cairo domestic airport, fly to Luxor, meet & assist at Luxor Airport, transfer to your Nile Cruise, embarkation before lunch, enjoy an excursion to visit Karnak and Luxor Temples, Lunch on board your Nile Cruise, Dinner and overnight on board your Nile Cruise. Breakfast on board. Enjoy an excursion to visit Valley of the Kings, the Temple of Queen Hatshepsut, proceed to visit Colossi of Memnon., Lunch on board your Nile Cruise, then sail to Edfu , Dinner & overnight on board your Nile Cruise. Breakfast on board, visit the Temple of Horus in Edfu, Sail to Kom Ombo, visit the Temple shared by Two Gods Sobek and Horus, Sail to Aswan, Lunch on board, Dinner & overnight on board your Nile Cruise. Breakfast on board, enjoy an excursion to visit the High Dam, Unfinished Obelisk, and Philae Temple, Belongs to Isis and Hathor goddesses, Lunch on board your Nile Cruise, Dinner & overnight on board your Nile Cruise. Breakfast on board, transfer to Aswan Domestic Airport, fly back to Cairo, meet & assist at Cairo domestic Airport, transfer to hotel, overnight in Cairo. Breakfast at hotel , transfer to Cairo International airport for final departure.